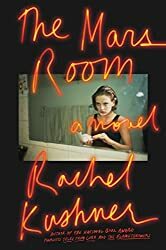 From twice National Book Award–nominated Rachel Kushner comes a spectacularly compelling, heart-stopping novel about a life gone off the rails in contemporary America. It’s 2003 and Romy Hall is at the start of two consecutive life sentences at Stanville Women’s Correctional Facility, deep in California’s Central Valley. Outside is the world from which she has been severed: the San Francisco of her youth and her young son, Jackson. Inside is a new reality: thousands of women hustling for the bare essentials needed to survive; the bluffing and pageantry and casual acts of violence by guards and prisoners alike; and the deadpan absurdities of institutional living, which Kushner evokes with great humor and precision.